I was honored at the WNBA Seattle Storm game on Thursday night as a breast cancer survivor. Met the CEO of the Storm and she gave me this awesome pink basketball! 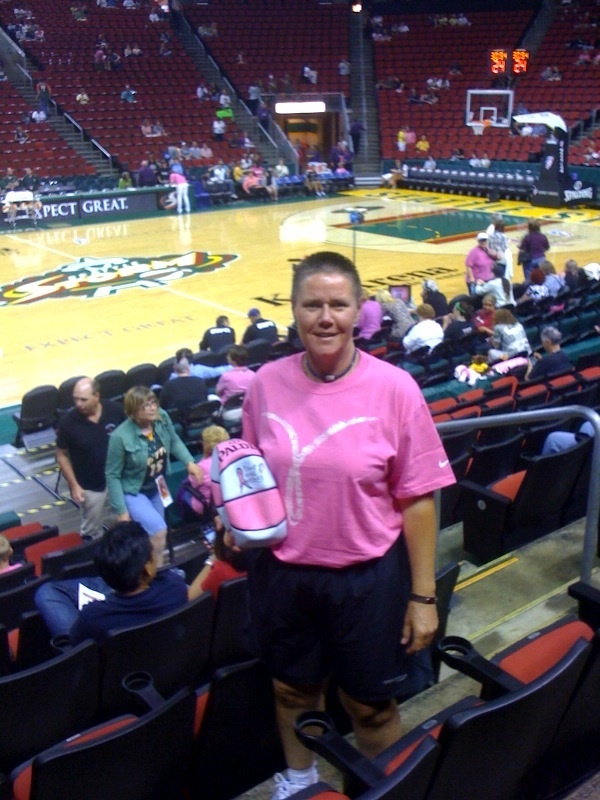 It was breast cancer awareness night at key Arena.